PowerColor has confirmed that their Nano Edition based on Vega architecture will launch at Computex. 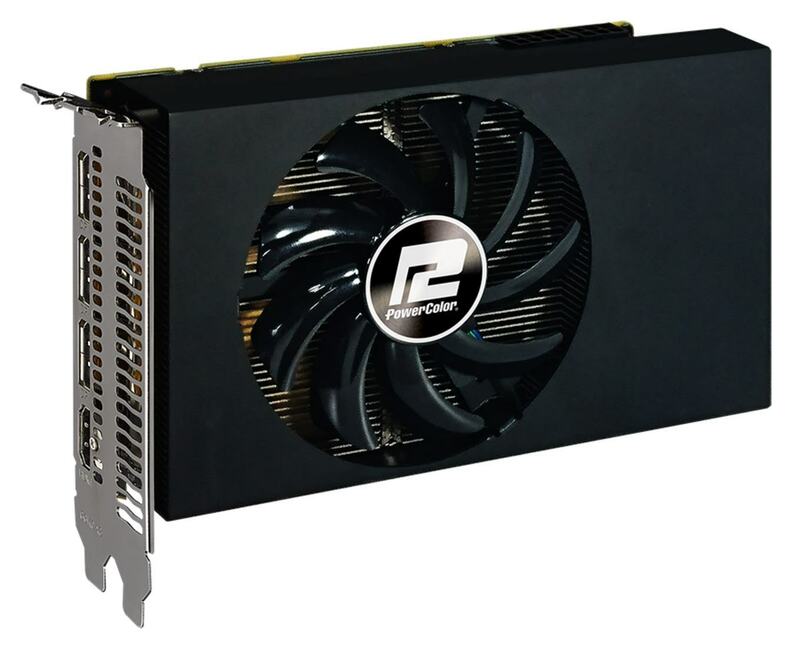 Note the ’56’ in name — this is not RX Vega Nano SKU, but RX Vega 56 named ‘Nano Edition’. It means that there won’t be any RX Vega Nano graphics card, at least not yet. There weeks ahead of Computex PowerColor now confirms that their Nano Edition will be ready for launch and likely to be sold later. No technical details were announced, but a new picture was released. We can see two power connectors (8+6pin) which are a standard for RX Vega 56. Such a short PCB is not unique to this particular model, but only PowerColor managed to fit a single-fan cooling solution and keep the card smaller in the process. Hopefully, PowerColor will add some cosmetics to this shroud because currently it looks rather blank.